Did you miss Part One? Click on the link. Here is the conclusion of Jake’s Take’s annual Top 20 Reality TV Performances of 2016! 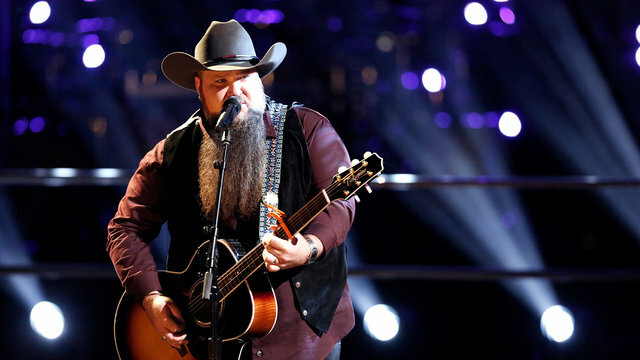 Team Blake’s Sundance Head kicks off our countdown with his compelling interpretation of Miley Cyrus’ “The Climb.” It is always risky performing a coach’s song and with minimal help from the show’s band on the NBC competition series. Sundance brought country soul to one of Miley’s biggest anthems, and viewers can see how genuinely touched Miley was throughout the performance. I believe that “The Climb” kicked off Sundance’s journey to the Season 11 finale and it showed what kind of artist he will be once the season wraps up. I hope that your passports are handy because we are heading to the United Kingdom for this entry. 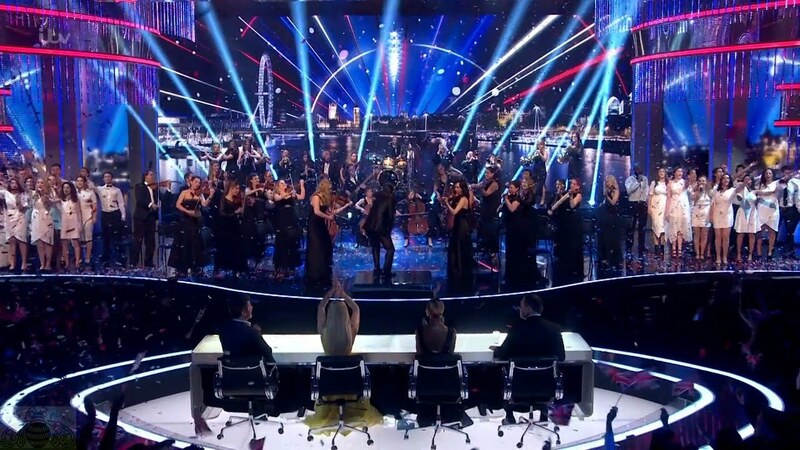 Earlier this year, I named the Collaborative Orchestra & Singers’ flash mob-inspired audition on Britain’s Got Talent-the best audition from any Got Talent franchise. The massive group followed up their epic performance with a great twist on a Beatles classic. 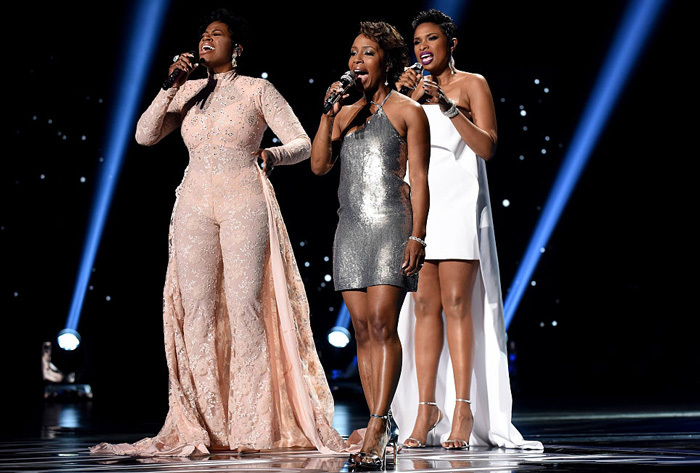 The group highlighted individual artists, who performed across Britain, before returning to the Britain’s Got Talent soundstage to conclude the performance. The choir gave me chills; the guitar soloist rocked the house, and the song’s bridge leads to the biggest decrescendo in series history. I believe that the Collaborative Orchestra and Singers showcased what the British public had to offer when they all joined their musical talents together for one epic performance! 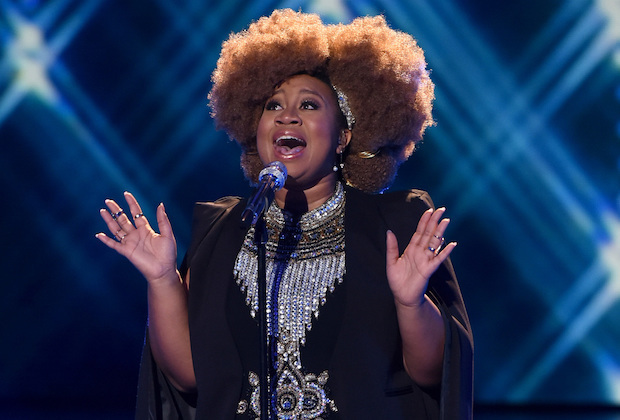 I firmly believe that one of the best singers that American Idol discovered in their final season was La’Porsha Renae. Her beautiful pitch-perfect velvet voice made the now defunct FOX singing competition’s last round so special. Her first performance on the CBS Television City soundstage was the Sia-penned Rihanna hit: “Diamonds.” The former call center representative soared like an eagle as her velvet tone hypnotized viewers, fans, the judges, and Kelly Clarkson herself. This performance not only started La’Porsha on the path to the series finale but also showed her bright future in the music industry. Coming in at number seven is former Las Vegas school teacher and current Broadway performer Moya Angela. Her audition is one of the best first-round performances I have seen in five years. 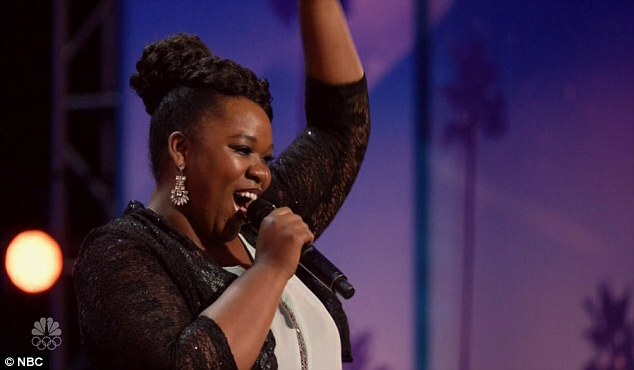 Moya’s dynamite vocals went into overdrive as her cover of Celine Dion’s “It’s All Coming Back to Me Now” had both the Pasadena Civic Center audience and the judges on their feet. 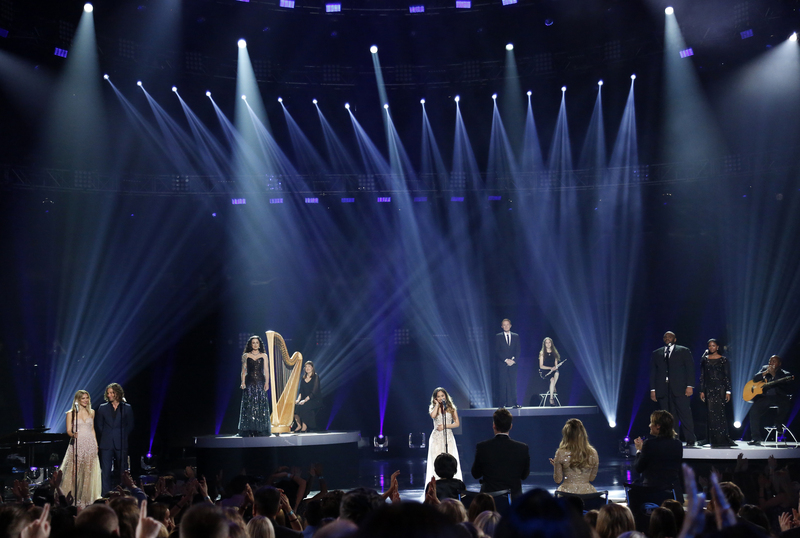 The American Idol series finale had so many highlights! One of the night’s best segments was the acoustic medley. Katharine McPhee and Casey James teamed up for their interpretation of Lady Antebellum’s “Need You Now,” while Season Seven’s Carly Smithson blew the audience away with her brief take on Dolly Parton’s “Here You Come Again.” Meanwhile, Clay Aiken soared with “Annie’s Song,” while his fellow Season Two alum Ruben Studdard joined Season 12’s Amber Holcomb with a soulful take on the Beatles’ “Here, There & Everywhere.” Friend to the blog and Season 11 runner-up Jessica Sanchez closed out the segment with her astonishing cover of “The Prayer,” which gave me the strongest case of the chills. It’s hard to believe that in two weeks, Season 11 of the NBC singing competition will conclude. One of the best young guns to have ever auditioned for the show is We McDonald! 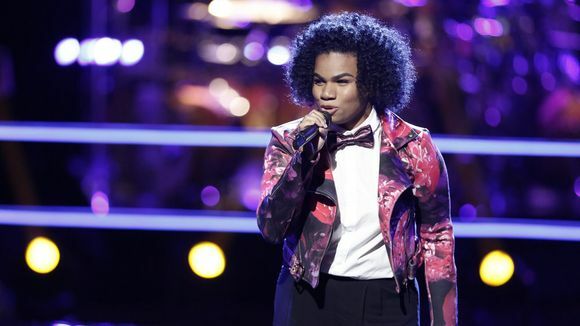 The 17-year-old may have a Minnie Mouse-esque speaking voice, but her velvety omnipotent vocals have taken the Team Alicia artist extremely far in this competition. One of my favorite We performances was her cover of Mary J. Blige’s “No More Drama.’ I had high expectations for young We as a friend to the blog and Season Two alum Kim Yarbrough set the standard for performing the tune during the show’s sophomore season. We took the challenge by the horns and delivered an astonishing vocal performance that was the actual highlight of the Season 11 Knockout Rounds. I had the opportunity to attend a taping of the America’s Got Talent Judges’ Auditions when I visited Los Angeles earlier this year. 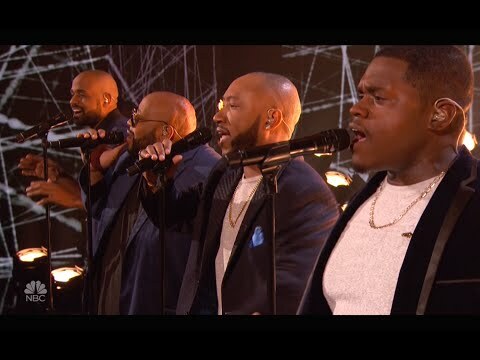 The Louisville, Kentucky quartet were one of the acts that I was fortunate to watch audition for Simon, Heidi, Mel B, and Howie. Their interpretation of “Somewhere Over the Rainbow” gave me the strongest case of the goose bumps and I was honored to be part of their standing ovation. After they had got their four “Yeses,” I prayed that they advanced to the Live Shows and blew America away. Sure enough, my wish came true. Of all their excellent performances, their cover of Lukas Graham’s “Seven Years” moved me to tears. Their four-part harmony was like fine wine, and their velvet vocals set a standard for all future music groups in the future. I cannot wait to hear their debut album. 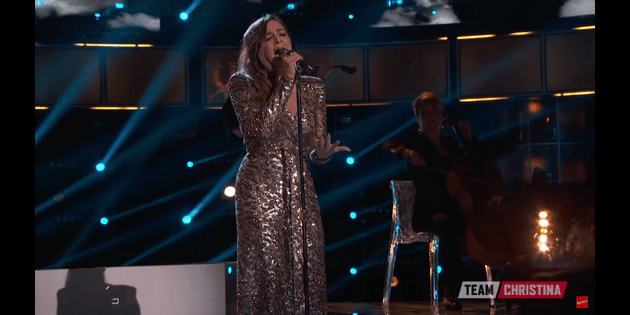 When Alisan Porter caught the attention of all four coaches during her Blind Audition, I knew that she was going to be one of the artists that will reach Season 10’s finish line. For her final performance on The Voice, the Team Christina finalist sang one of Barbra Streisand’s biggest hits: a cover of the West Side Story anthem: “Somewhere.” From the first note, Alisan hypnotized the viewers and transported us back to the 1950s Big Apple at the height of the Jets and Sharks turf war. This performance not only hit the iTunes Top 10, but it also earned her the championship and her mentor became the first female coach to win the American edition of the international franchise. 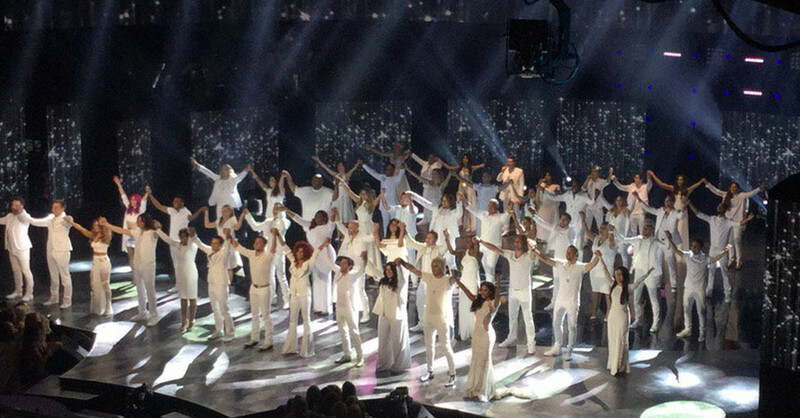 This past April, an American television institution made its final bow. After transforming everyday Americans into household names and innovating the music industry, American Idol took its final bow. For its final opening, the American Idol XV Top 10 and the show’s most recognizable alumni came together to sing Barry Manilow’s “One Voice.” This performance not only showcased Idol’s legacy but for longtime viewers like myself, it let them see the plethora of talent come together in a “We Are The World”-like setting and honor the television program that will go down in history as one of the greatest music competition programs of all-time.